Barcrest gameare provided by Scienticfic games also known as SG Interactive. Some of the most popular Barcrest games are King of the Aztecs, Rainbow Riches, Elvis Top 20, Ca$hino and Grand Casino. Providing the games through Scientific games has surely emhanced the popularity of the games. 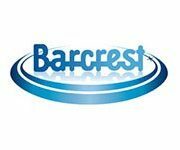 Let us know what you think about Barcrest games.